We have officially entered “Droughtlander” until next fall, and our crazy friends have washed ashore in America. 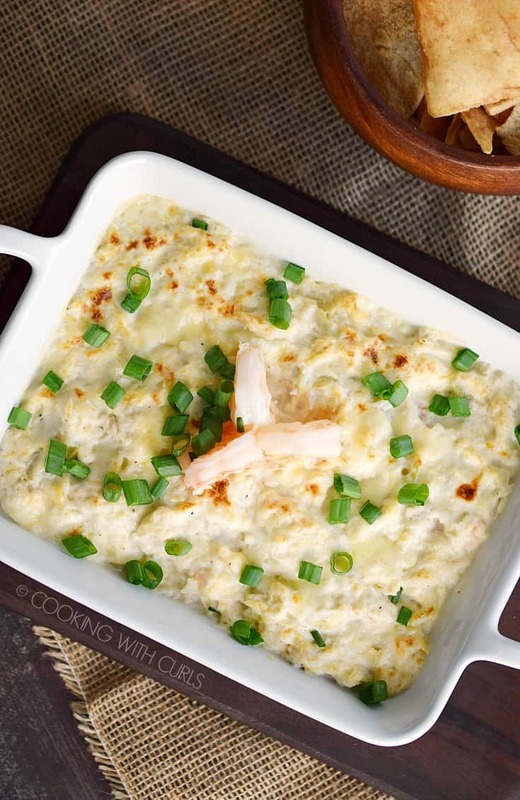 Before we completely forget about their Caribbean adventures I have a delicious, Simple Seafood Artichoke Dip to serve along side the Caribbean Rum Punch that I shared last week before the big season finale….. 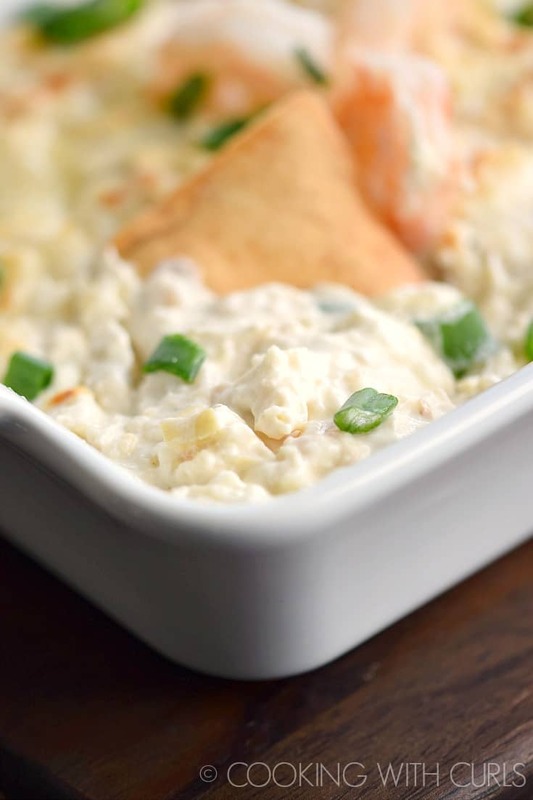 This Simple Seafood Artichoke Dip is one of those recipes that you can throw together at a moments notice and impress your guests. It is always a crowd pleaser! 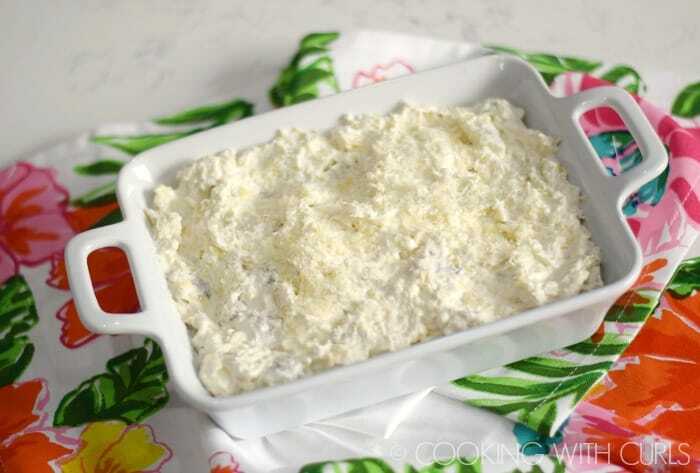 Beat the cream cheese, Greek yogurt, mayonnaise, garlic, and chili pepper flakes together in a large bowl. Season to taste with sea salt and black pepper. 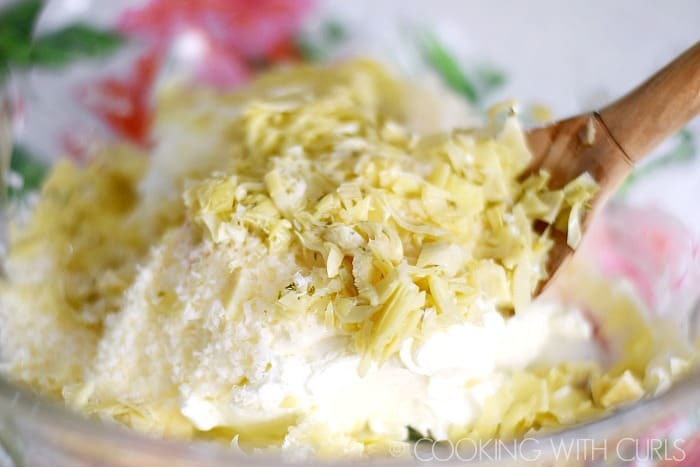 Stir in the artichoke and Parmesan cheese and mix until thoroughly combined…. 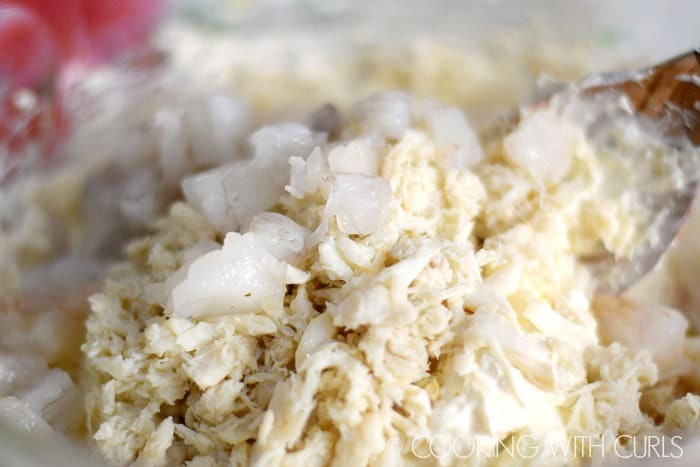 Gently fold in the crab and shrimp…..
Pour mixture into a 1 quart casserole/baking dish. 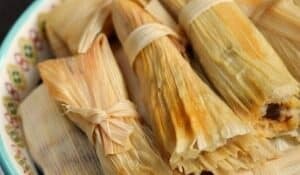 Sprinkle with Parmesan cheese…..
and bake until bubbly and the edges are starting to brown, about 20 minutes…..
Garnish with green onions and cooked shrimp, if desired. 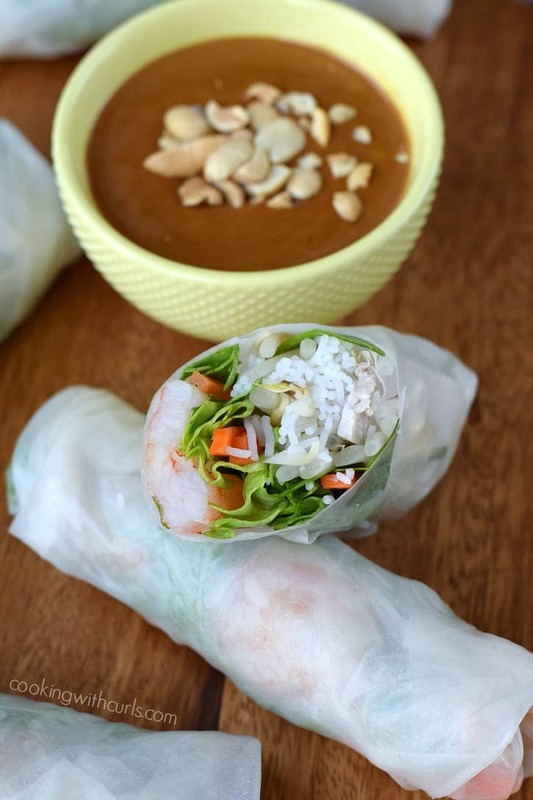 Serve warm with pita chips, fresh bread, or tortilla chips….. 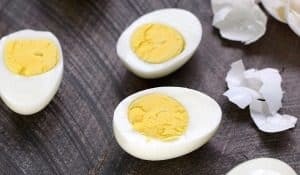 It is creamy, dreamy, and delicious!! I used fresh lump crab from the seafood section at the grocery store. Canned works too! I used wild caught, medium-sized shrimp that I chopped into 4 pieces and mixed in raw. It cooked in the dip. 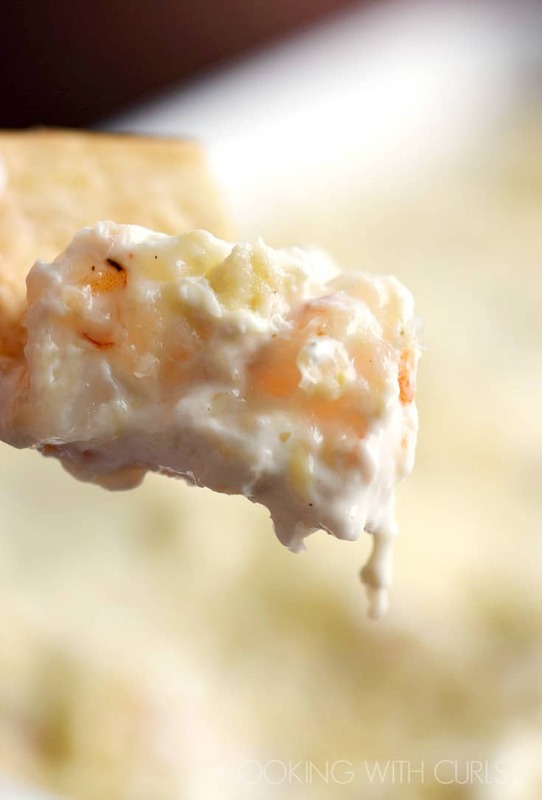 Substitute non-dairy cream cheese for a lactose-free dip. 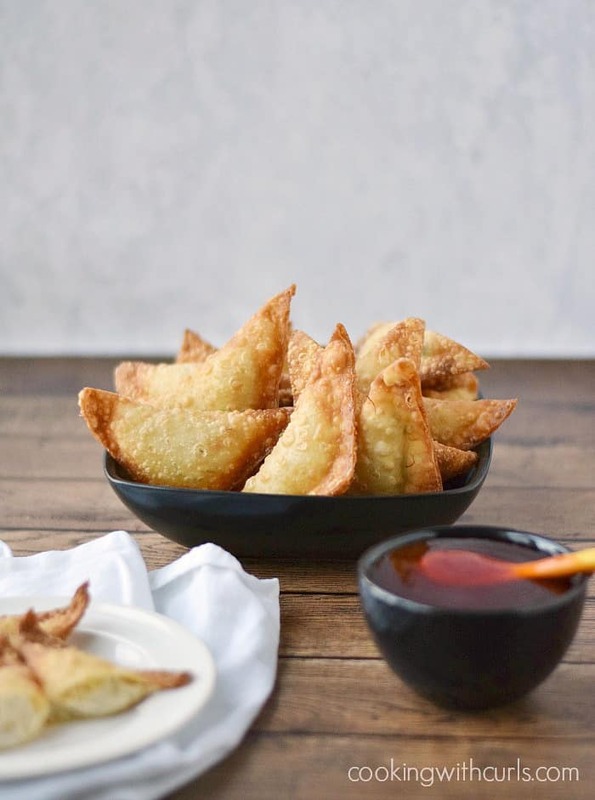 As delicious as this Simple Seafood Artichoke Dip is, Crab Rangoons are still my favorite appetizer…..
and Teriyaki Bacon Wrapped Shrimp is pretty high on the list as well…..
No one can turn down Vietnamese Spring Rolls with Peanut Sauce…so yummy!! 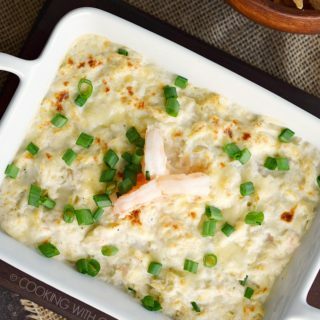 You can throw this Simple Seafood Artichoke Dip together in minutes, then bake it to golden perfection! It is always a crowd pleaser. Stir in the artichoke and Parmesan cheese and mix until thoroughly combined. Gently fold in the crab and shrimp. Pour mixture into a 1 quart casserole/baking dish. Sprinkle with Parmesan cheese and bake until bubbly and the edges are starting to brown, about 20 minutes. 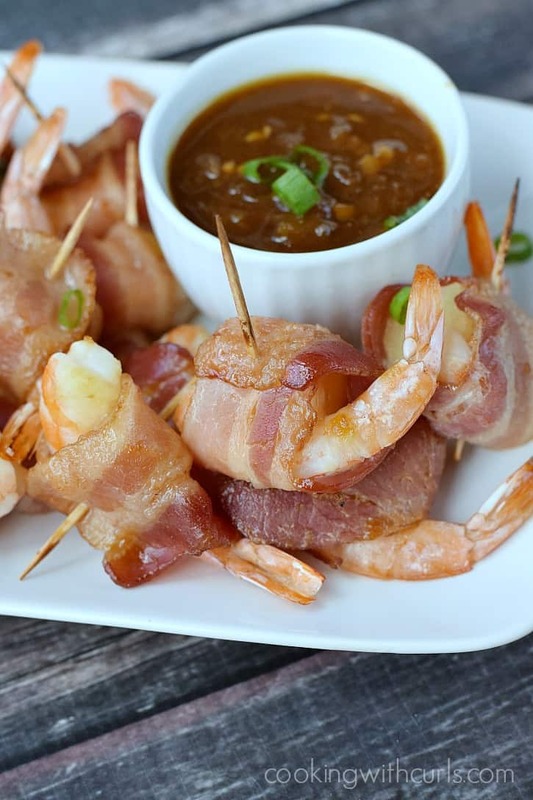 Garnish with green onions and cooked shrimp, if desired. Serve warm with pita chips, fresh bread, or tortilla chips. This looks delicious, Lisa! Going to have to try this for our New Year’s Party!! 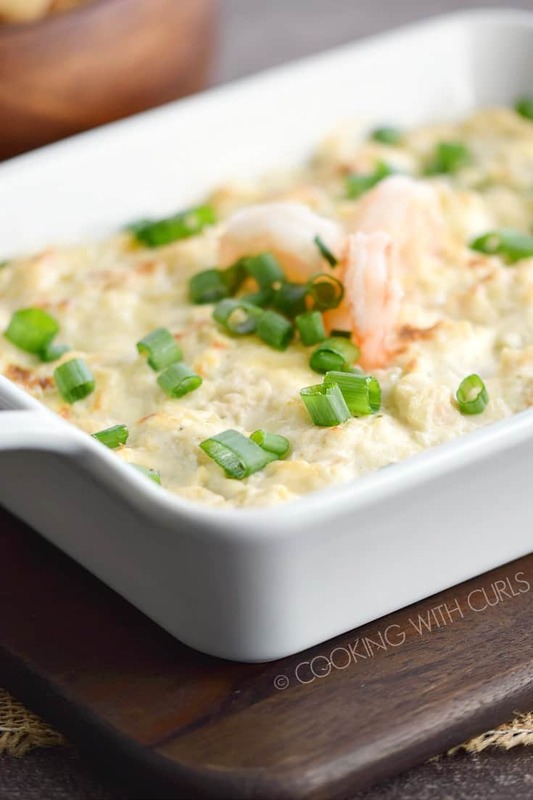 I love love love warm crab dip, and with the addition of shrimp! 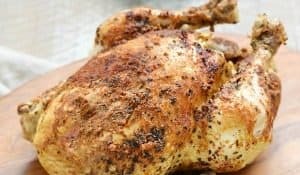 I can only imagine how delicious this is! And I am in the same boat as you with Outlander! I hate that we have to wait until next fall for the next season!!!! I feel like this season flew by! Thank you, Ashley. They need to have more than 13 episodes per season, it is way too short! !